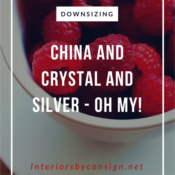 China And Crystal And Silver – Oh My! This is the fourth installment of 10 Things to Expect When Downsizing. See the link to previous articles below and to the right! This change can even be seen in the design of new homes where formal dining rooms have given way to a large farm table in the center of the home that is used daily. I’ve always used my Waterford and Spode, silver, and crystal for birthdays, family events and holidays in the hopes that my children will want some of it – because I used it. I’m hoping to attach my fine dishes to a memory. 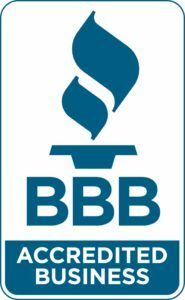 My advice is use it – use it all! What are you saving it for? If you happen to have children that entertain or are newly married, now is the time to gift your items to them. Several customers have told me that by the time their parents wanted to give them china, crystal, and silver they already had their own. One customer commented that she would have loved to have her mother’s serving pieces when she was in her 30’s and still entertaining. Unfortunately, at that time her mother was not ready to let go of her items. Now all those things are duplicate and not needed. They both missed the window!